From the moment a woman discovers she’s pregnant, she’s faced with a long list of do’s and don’ts. On that list is the recommendation that pregnant women should not scoop the cat litter box. Why shouldn’t pregnant women scoop the litter box? The cat litter box poses a risk of infection with the parasite Toxoplasmosis gondii, which causes the disease toxoplasmosis. The parasite is quite common, and it’s estimated that more than 60 million people have it in the US alone. Most healthy people will show either no symptoms or minor flu-like symptoms, and have no idea they were ever infected. But women who are infected just prior to or during pregnancy can pass the parasite on to their unborn children. The consequences can be dire: eye damage, blindness, brain damage, and mental impairment. Infected pregnant women can be treated with medication, and both mother and baby should be closely monitored thereafter. If affected, the baby may not show signs until well after birth. 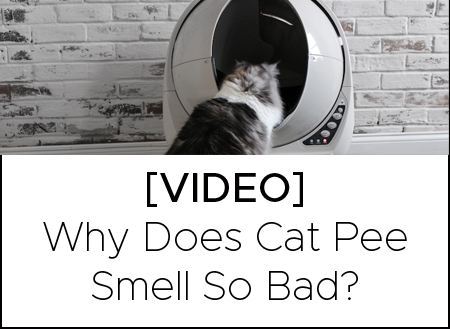 But it’s not cats or the litter box that are most likely to transmit the parasite. Instead, according to the CDC, people are more likely to get toxoplasmosis from eating raw meat or gardening. Cats themselves typically contract the parasite by eating raw meat (think mice, birds, and other prey) or soil, and they’re not the only animals that can carry it. The difference is, cats are the only species that excrete the parasite when it is in its infectious stage. They do this in the litter box, in your home, for up to two weeks if they are infected. Oftentimes, cats get exposed to the parasite when they are young, so they are immune to it later in life. Even if you let your cat venture outdoors, it’s typically only on the first infection that they’ll shed the parasite through their feces. Your vet can perform bloodwork to tell if your cat is infected with Toxoplasma and treat any infection. When it comes to pregnant women with cats, the advice is pretty simple. Pregnant women should avoid interacting with the litter box if possible. If she must manage the litter box, a pregnant woman should wear disposable gloves and wash her hands with soap afterwards. It’s key to clean the litter box frequently to remove the parasite (if present) before it becomes infectious 1-5 days after being excreted. That means both scooping to remove feces and sanitizing surfaces to remove debris where the microscopic parasite can live. Beyond that, since the parasite can live in soil, pregnant women should be vigilant about hand washing after gardening, and should thoroughly wash produce fresh from the garden. Protect raised garden beds from cats and wildlife by surrounding them with chicken wire or something similar. Pregnant women should ensure any meat that they eat has been cooked until it reaches an internal temperature of 165 degrees Fahrenheit. All kitchen utensils and cutting boards should be washed thoroughly after contact with raw meat. If you feed your cat raw meat, make sure to freeze it for at least 24 hours before serving it, which will kill any Toxoplasma that may be present. It’s also best to feed your cat in a designated area and keep them off counters to prevent contamination. Because cats are most likely to transmit the parasite when they have never been infected, pregnant women should avoid adopting a kitten or taking in strays during pregnancy. For the cats they already own, it’s best to keep young ones indoors where they are less likely to encounter the parasite through other animals’ feces and raw meat. Along with that long list of pregnancy do’s and don’ts can come guilt about asking others to do all the things you’re no longer “allowed” to do. You might find yourself starting every other sentence with, “I’m sorry, can you also…” to the point that you just start doing things yourself, even though you shouldn’t. Or, that person who is nice enough to take on more chores becomes overworked and winds up unable to meet the demands. When it comes to the litter box, not cleaning it on time can have unfortunate kitty consequences (think protest puddles and misplaced waste). Either way, it’s not good for you, your family, or your pets. When it comes to loathsome litter box duty, there’s a better solution for everyone involved. An automatic self-cleaning litter box does the work for you, so no one has to bend, scoop, lift, or inhale litter dust. Your cat will be happy having a clean place to go every time, and all anyone has to do is gather up the garbage bag and toss it. The potential effects of toxoplasmosis can sound alarming, but straightforward preventative measures can reduce the threat of Toxoplasma significantly. 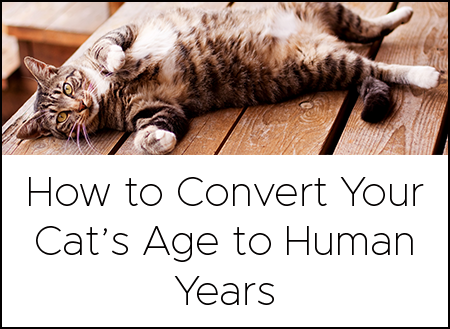 You don’t have to give up your cat or dramatically change your lifestyle. Make these minor adjustments for a healthy pregnancy and happy cat. And, with a self-cleaning litter box, you don’t have to feel guilty about freeing yourself from the chore of litter box scooping. For more information about toxoplasmosis, visit the Centers for Disease Control and Prevention’s FAQs here.